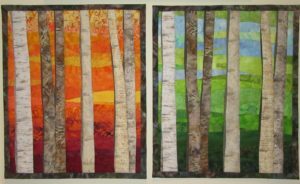 A few months ago I created “Birch Trees 8 in Autumn”. 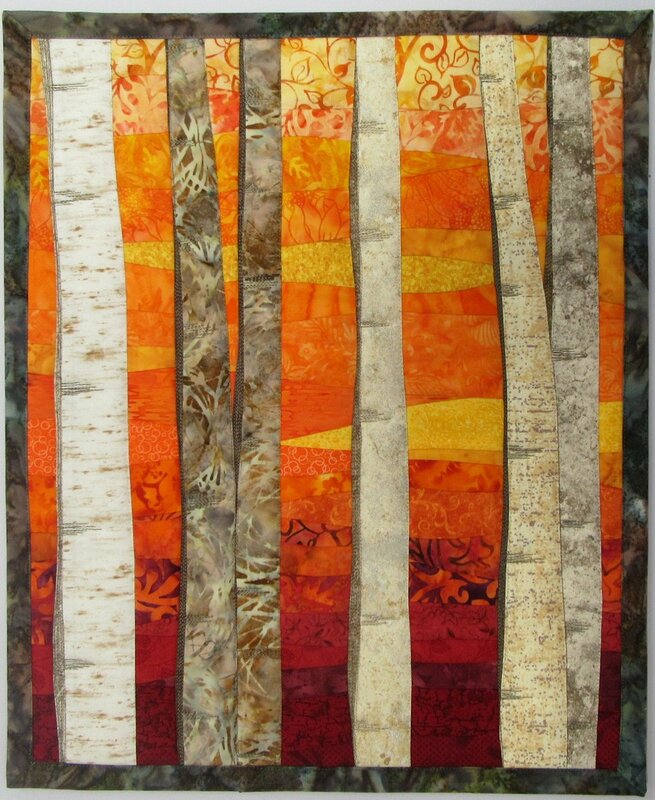 I’m totally partial to fall/autumn colors so I have created quite a few birch trees in autumn in different designs. 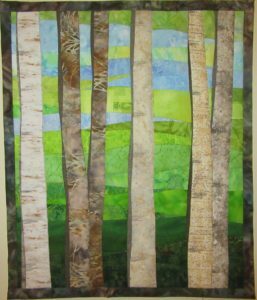 I liked the size and simplicity in design of the Birch Trees 8 so I thought I’d try making a very similar one of “Birch Trees in Spring”. In fact, as I began to sort out fabrics and make the trees, I decided to make it the same size and use the same tree fabrics and align the trees the same. I did this in order to create two quilts which could be hung as a pair. Luckily I still had enough of the fabrics I used for the trees to do this! I used the very last piece of one fabric….YIKES! 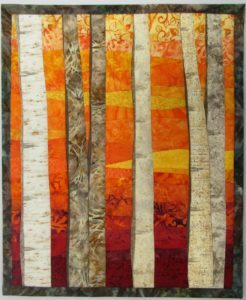 Even with the autumn quilt sitting on my cutting table, guiding me, it is harder than I thought to recreate the trees and the general design. 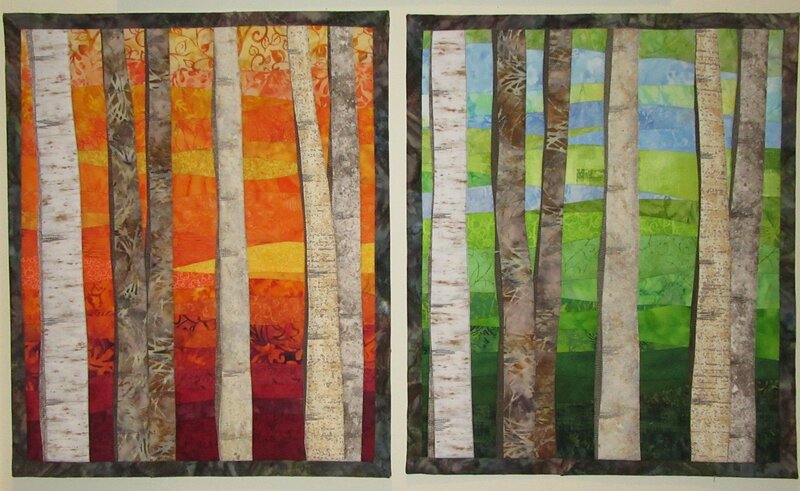 There are variations but in your initial viewing, the quilts like very similar with different seasons. I’m very happy with the final art quilt. 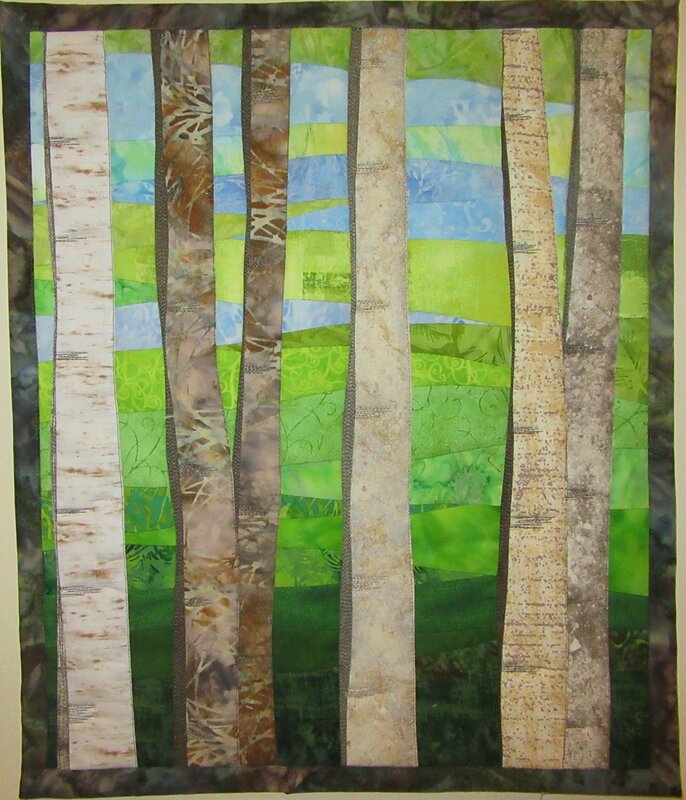 I’ve listed the Birch Trees in Spring as a listing on Etsy and I’ve listed both quilts together as a listing. I have not tried this before so it will be interesting to see if there is any interest in two quilts together. You never know if you don’t try! !